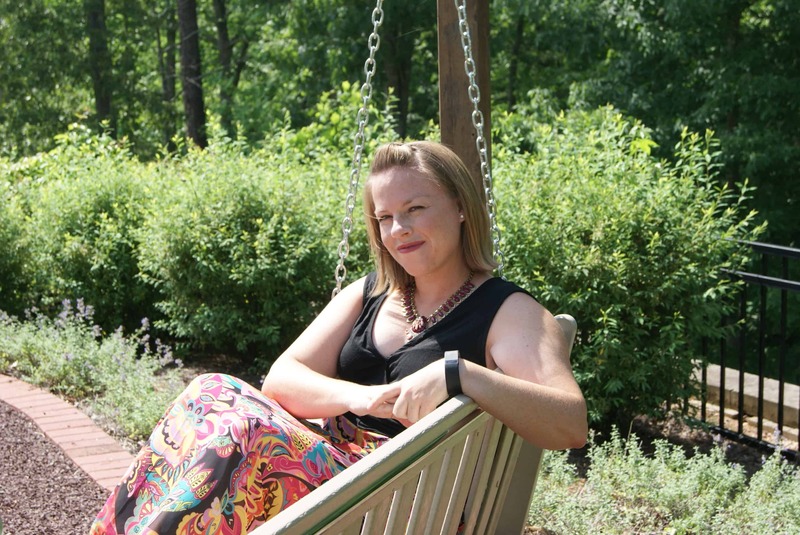 It was 2014 and I was just starting to dip my toes into the budgeting waters. I was failing miserably. That is until a friend on Facebook suggest I try YNAB, short for You Need A Budget. I had tried Mint and while I loved that it was free and that you could set goals, it just never really worked for me. 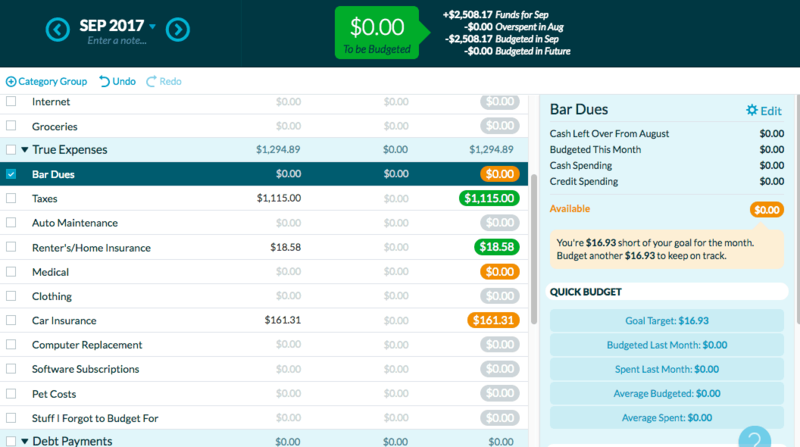 YNAB on the other hand, had a great system in place and offered webinars to help you get the most out of their budgeting tool. Back then YNAB was a software program you downloaded on your computer that had a corresponding app. In 2014, YNAB helped me figure out how to budget and once I got in the habit I found that I didn’t need to use it as much. However, ever since I became self-employed earlier this year I’ve had a variable income and I once again found myself struggling to budget. I once again turned to YNAB. To my pleasant surprise, in the years since I’d last used YNAB, it had gotten a facelift. YNAB was now online rather than a download, and included a goals feature and addressed the few things I hadn’t liked about it before. Allow me to break it all down for you. YNAB is a zero sum budgeting system, essentially you must give every dollar a job. Though a buffer could definitely be one of those jobs. That is rule one in YNAB’s method, give every dollar a job. There are 4 steps in the method. Rule two is, “embrace your true expenses” this means breaking out big bills that you have throughout the year, like car insurance, down to manageable amounts each month. 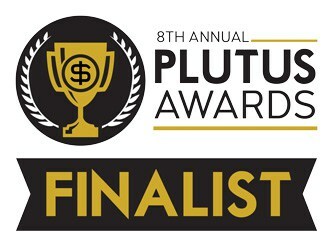 Rule three, is to roll with the punches, life happens, make sure you keep your budget flexible. This is where a buffer or just cutting back in one category one month can make all the difference. 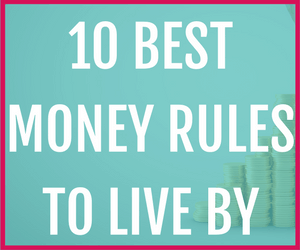 Rule four is to “age your money” meaning you work towards paying your bills a month ahead, which as you may recall is a key step to getting out of the paycheck to paycheck cycle. Hands down, of all the new features in YNAB I am most excited about the goal setting feature. You have the option to set one of three types of goals. Once you select your goal type you enter the parameters. For example, for my bar dues below I said I need to save $220 by September 2018. YNAB then breaks out how much I need to save each month to reach my goal. Then in the budget side it makes the category amount orange until I’ve hit the amount for that month. How it looks in YNAB once your goal is set up. The yellow indicates you haven't put enough money towards it this month to reach your goal. 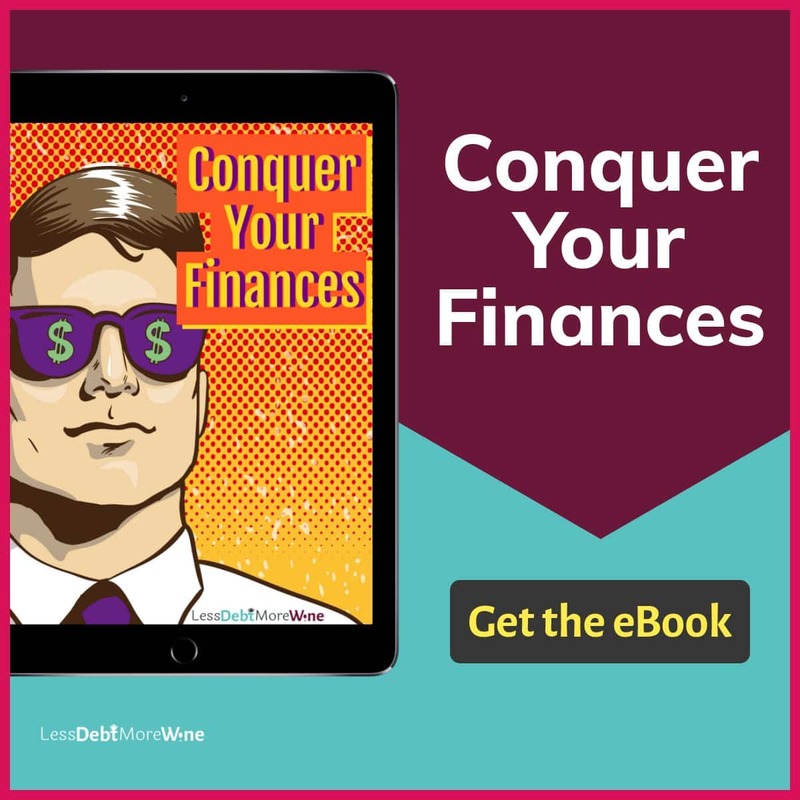 If you perhaps have been slacking on your budget and don’t have the patience to sort through and categorize months of expenses, then you can simply start fresh with the click of a button. Starting fresh wipes out all of the previous transactions but keeps all your budgeting categories and goals. However, you don’t lose the information forever. It simply gets archived as an old version of your budget. So if you ever do find the time and want to better examine your spending habits, you can open up the archived budgets and get to work. As you can see from the screenshot above, I have multiple budgets. I have a personal budget and (for the first time) a business budget. 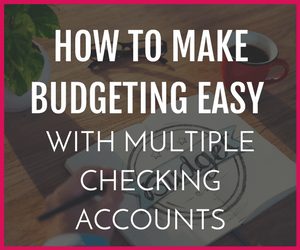 I have so many accounts, some for business some for personal, being able to budget them separately just makes my life so much easier. Mint is Free, Why Do You Pay for YNAB? I just never really stuck with it with Mint, by putting my money on the line (even though it’s not much) I feel more compelled to keep up with my budget and to budget regularly. Additionally, while Mint provides an excellent tool, YNAB provides the service and support to ensure you are successful with your budget. I found the webinars to be extremely helpful when I was just getting started with budgeting. YNAB doesn’t just have webinars/classes about budgeting either (which are live BTW), but also classes on paying down debt and setting savings goals. So How Much Does YNAB Cost? First, YNAB offers you a 34 day free trial so you can test it out for a month before deciding if you want to subscribe. You do not have to enter your credit card information for the free trial which means you don’t have to worry about any sort of automatic enrollment. After your 34 day free trial of YNAB, it costs $50 per year. 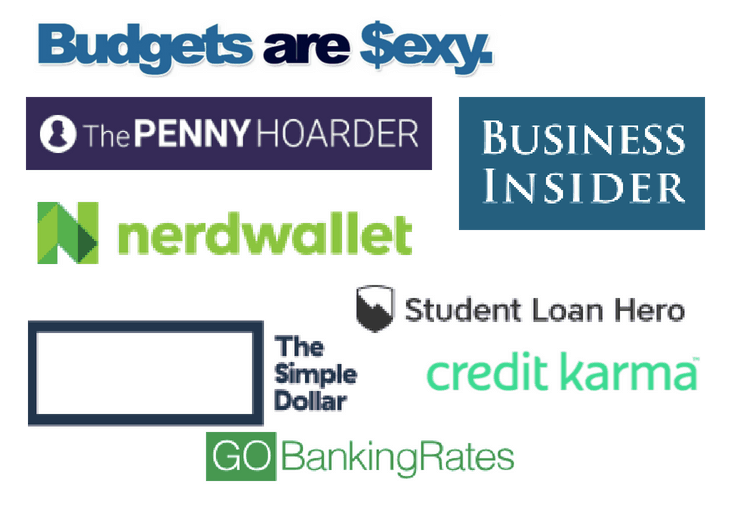 According to YNAB, new budgeters typically save $600 by month two, so YNAB more than pays for itself. If you are a student, then you can get free access to YNAB for 12 months. While YNAB isn’t free, I’ve found it completely worth the cost of just $50, which comes out to just $4.17/month. The goals feature and ability to start fresh have reduced a lot of the stress I used to have related to budgeting. At the very least, I recommend you try the 34 day free trial. Sign up for your 34 day Free Trial. 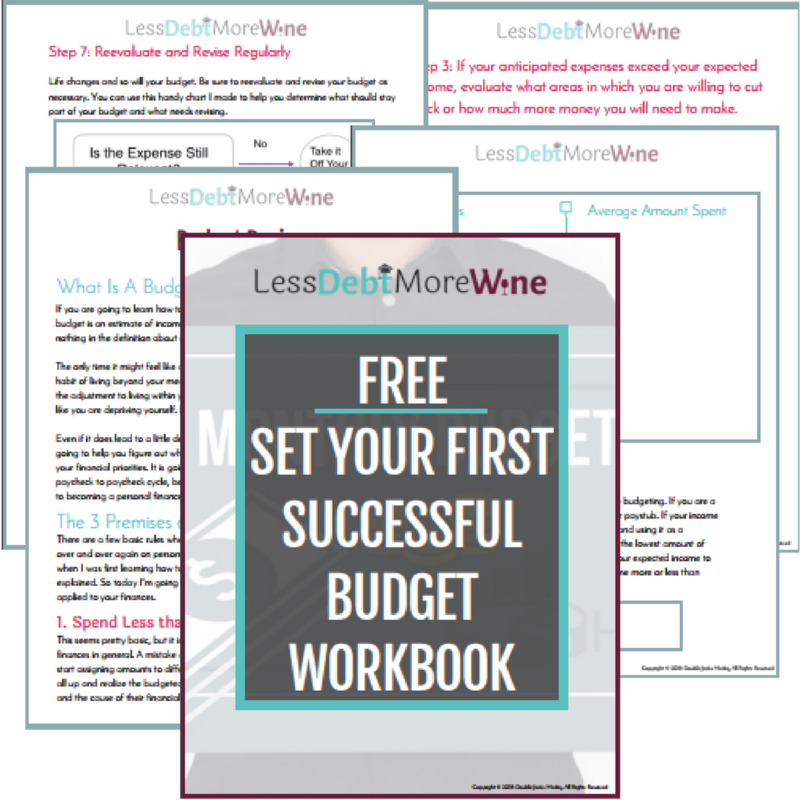 Subscribe to the Less Debt, More Wine Newsletter and take advantage of the subscriber benefits including instant access to the Set Your First Successful Budget Workbook!